Welcome to day 3 of my Blue Sky Days one year anniversary celebration! Be sure to check out Monday's post to enter to win a book of your choice up to $12 from The Book Depository, and yesterday's post to win a one-of-a-kind Blue Sky Days beaded bookmark. Today's giveaway isn't related to Blue Sky Days, but it's related to my writing. 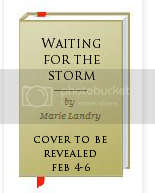 I'm going to give away an e-ARC of my upcoming contemporary YA novel, Waiting for the Storm, which will (hopefully) be out in April. I'll be sending the book out to beta readers next week, and should have ARCs to send out by early March, so I'll email whoever wins to notify them, but you'll have to wait a few weeks before I send you the ARC. I'll be doing the cover reveal for the book February 4th-6th, so if you'd like to participate in the cover reveal, please email me at irishstar_83@hotmail.com or leave your email in the comments. I'll be sending out an email on February 3rd with the cover and final synopsis, and you can post it on your blog (and/or Facebook, Twitter, Pinterest, Google+, etc) anytime between the 4th and the 6th. I'd be really grateful to anyone who signed up, and I don't care whether you have 5 followers or 500, everyone is welcome! isis_willowsong (at) hotmail (dot) com. 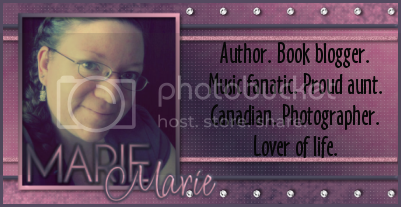 I'd be happy to help with your cover reveal! Drop me a line with the info and I'll set it up! Congrats Marie! That's great news.